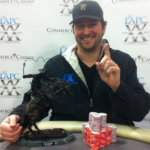 In poker media circles, we love it when our game gets mainstream attention. Cinderella stories like John Hesp’s magical 2017 WSOP Main Event final table run are perfect examples of what makes us collectively swoon. Unfortunately, however, more often than not the mainstream media only turns an eye to poker when there’s something potentially scandalous about. 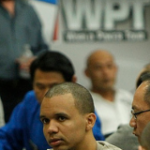 Case in point: widespread coverage of the Phil Ivey Punto Banco case. 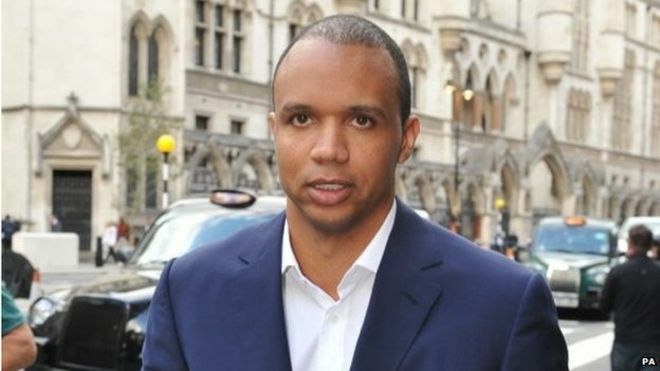 For five years Ivey’s lawsuit made its way up through the British court system until the final word was uttered yesterday by the UK Supreme Court, which in a unanimous decision ruled that Genting Casinos UK (the parent company of Crockfords) was right to not pay the Poker Hall of Famer £7.8 million in monies won. True to form, I was contacted by BBC World Service and asked to comment on the verdict. The entire interview lasted just three-and-a-half minutes. That’s 210 precious seconds of live airtime (i.e., with no do-overs) in which to try and capture the case’s details, complexities, and nuances, then offer an opinion, to what can only be assumed is a relatively uninformed listenership. 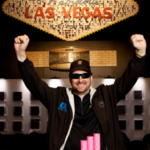 Nice job maintaining some distance between Ivey’s casino incident and the world of poker. Not easy in a 4 minute segment to a mainstream audience! ? 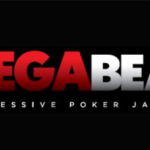 Over the last five years, I’ve had numerous conversations and debates with friends and colleagues about the particulars of the case, as well as the similar case brought against him in Atlantic City by the Borgata. While there’s certainly a great deal of disagreement in the court of public opinion as to Ivey’s innocence or guilt, the poker community seems to overwhelmingly support the notion that Ivey was robbed of his winnings. I believe what Ivey did was cheating. But the casino agreed to let him cheat thinking he’d lose anyway. Thus, the casino should pay up. Exactly. The casino agreed to all of their requests, then gave him a receipt for the winnings. Those actions are binding, imo. 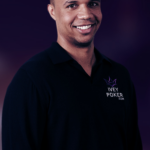 It’s reasonable to argue that members of the poker community might have biased views; after all, Ivey is “one of our own” and his is one of the primary public faces of our game. We have a somewhat “vested interest” in him winning. Thus, it’s critical to try and get to the heart of the matter in order to make a factual argument for why I believe the UK Supreme Court erred in its judgment. Let me briefly preface this section by stating the obvious: I’m not a lawyer nor an expert in UK law. Moreover, I don’t purport to represent anyone’s views other than my own, though others may agree with what I have to say here. All I am “armed with,” as it were, are Bachelor’s and Master’s degrees in English Linguistics. While there are those who might contend that the arguments below amount to “mere semantics,” one cannot consciously wave a dismissive hand at facts. Courts are meant to rule on issues of law, thus the central question of Ivey’s case vs. Genting Casinos UK was whether or not he violated any laws. As reported, the court’s ruling focused on whether “cheating” took place. If so, Ivey would be in violation of the law, thus invalidating his winnings. When playing poker, part and parcel of the game involves trying to deceive your opponents using your wit, talent, and any other edge you can find in order to emerge victorious. A professional poker player, Ivey merely applied this same methodology (dare I suggest, strategy) to a casino game. He spotted an edge (the irony of using this term isn’t lost on me) and exploited it to the best of his ability. If you spot a player’s tell, it doesn’t constitute cheating to use said tell against them. If the player seated next to you isn’t properly protecting his/her cards and you happen to spot them, it’s not cheating to look. Obviously, the “right” thing would be to politely inform your neighbor that you can see their cards, but there’s no poker rule that mandates you do so. Similarly, if a clerk accidentally gives you too much change after you purchase a product, it’s not cheating if you don’t return the money. Reprehensible and unbecoming behavior, yes; but it’s not cheating. In line with all of the above, it pretty much goes without saying that Ivey’s actions were immoral. When a gambler engages in a casino game, there exists a contract between the player and the house to play by the house’s rules. Ivey didn’t violate a single rule. Thus, in my opinion, a truly just ruling would have made clear distinctions between facts and exploitative tactics, as well as publicly remonstrated Ivey for his questionable ethics, but nonetheless awarded him his winnings. A couple years back, the internet went wild upon learning the story of the two men who were alleged of cheating at video poker to the tune of millions in payouts. Quite similarly to Phil Ivey, these gentlemen became aware of a flaw in a game being offered to them by casinos and attempted to exploit it to the best of their abilities. Lawsuits were eventually dropped in the video poker case, as federal prosecutors had no evidence to prove cheating. Once again, while the gentlemen may have acted in a deceitful and disreputable manner, they did nothing illegal. Nonetheless, monies won were seized by authorities and returned to the casinos. Years ago, the notorious MIT blackjack team realized that they could use their intellectual talents to try and “bring down the house” by counting cards. There was nothing illegal about what they did. Each and every casino is well within their rights to deny service to any customer. Casinos understandably don’t want to lose, so they find ways of stacking the deck in their favor, pretty much by definition. In the case of the MIT blackjack team, the casinos fought back by outing and then banning team members. 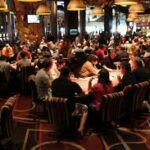 Nowadays, the casinos have come up with a different “bulletproof” tactic, namely employing the use of continuous shuffling, which makes counting cards impossible. Thus, even the great MIT blackjack team would no longer possess an edge in that game anymore. The fact remains that at any given point in time during gameplay, the Crockfords staff could have taken action. They could have denied Ivey’s request to keep using the same decks of cards. They could have denied Ivey’s requests for the dealer to rotate the cards in play, such that he would not be able to get a better look at their edges. For whatever reason they would have liked, they quite simply could have just stopped taking Ivey’s bets. The Supreme Court seemed quite concerned in its ruling with ensuring that Punto Banco remain a game of pure chance “with neither the player nor the casino being able to beat the randomness of cards being dealt,” according to Lord Hughes. 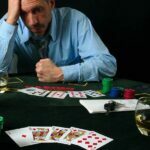 Such reasoning is impossible to validate, however, as – once again by definition – all casino games are designed to lend the house an inherent advantage. In other words, ever since the first table game was spread, casinos have always had the upper hand in beating the randomness of cards dealt. 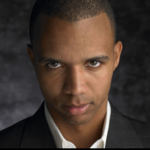 What Ivey accomplished with his persuasion and exploitative technique was being able to flip the established, conventional script that “the house always wins.” His rights as a gambler ought to have been protected to the same extent as the rights of the casino. A public dressing down of Ivey’s actions might’ve given him a bad name. He might have been able to keep his winnings, but his reputation would’ve been damaged. Instead, we’re left with a situation where it’s Crockfords and the UK judicial system that end up having their reputations called into question. Indeed, one is left to wonder how well justice sometimes gets served.